On K Road. 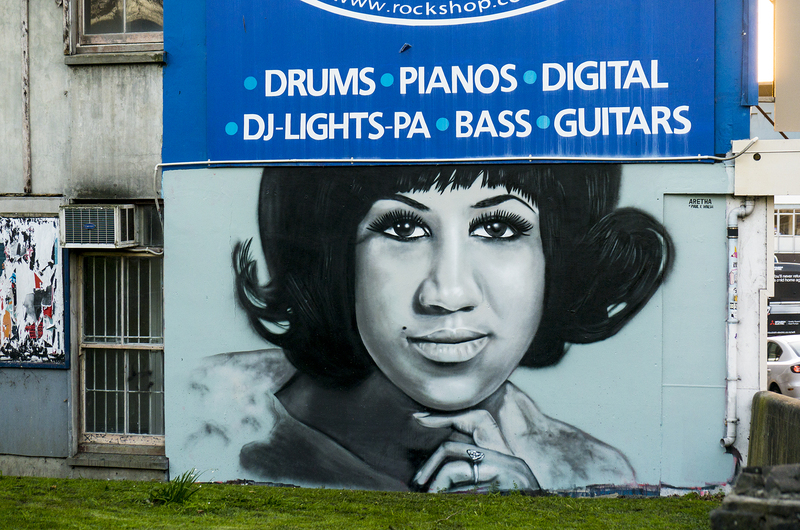 Street artist Paul Walsh commemorates the Queen of Soul. In a city where there are huge billboards and advertisements and hoardings – there is a lot of public space which is colonised by commerce, and it’s nice to have little parts of it which are colourful items for art’s sake – and for no other reason than that,” he says. Read more about his work in this TV1 feature.